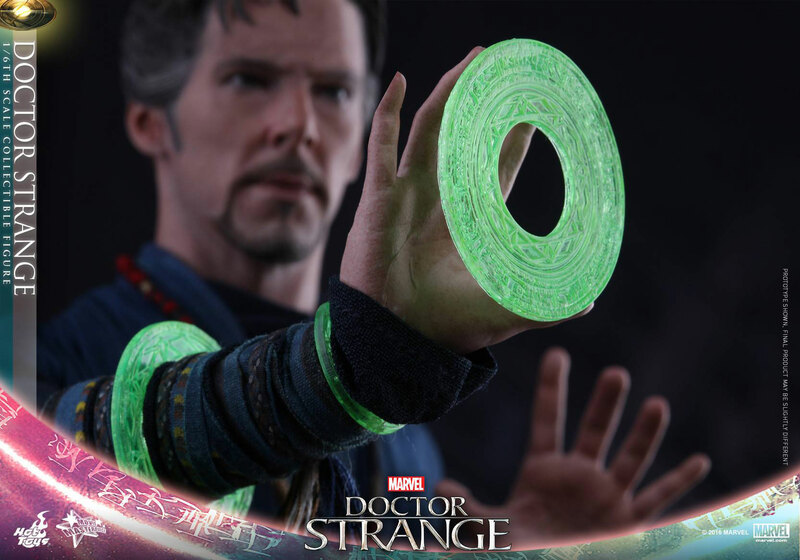 With Marvel’s Doctor Strange movie making its way into theatres, Hot Toys has shared new images of the upcoming Movie Masterpiece sixth scale figure with some green shield-like mandalas of light. 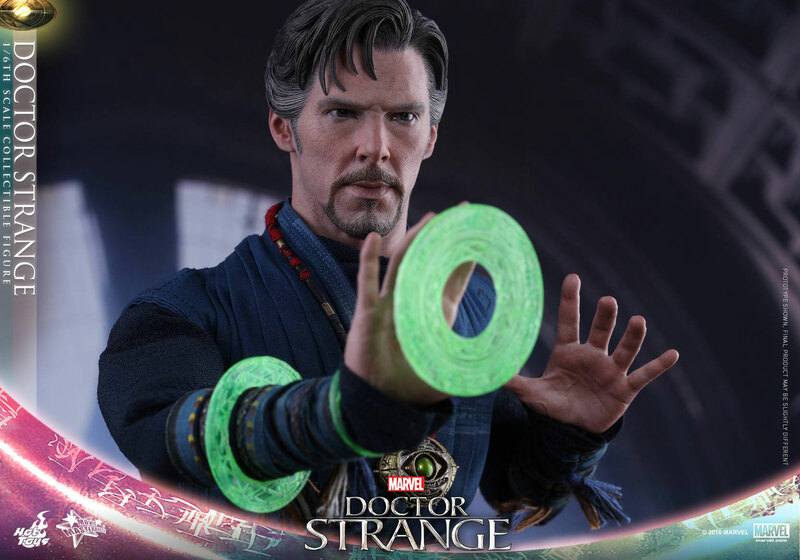 Following up on the first round of images that released a little while ago (featuring the orange mandalas), these latest pics show the Sorcerer Supreme posing with some bright green mandalas as seen in the new movie. 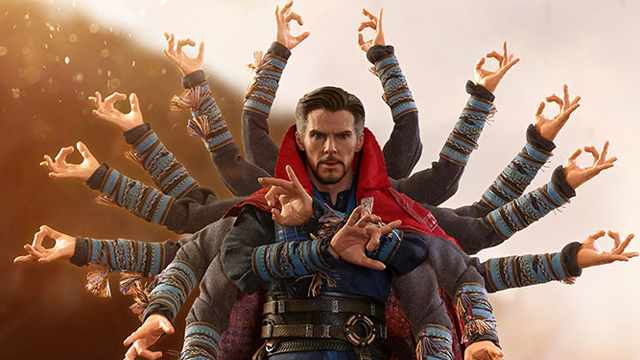 The Hot Toys Doctor Strange Sixth Scale Figure will also come equipped with nine interchangeable hands, two larger-sized orange mandalas of light, a miniature book of Cagliostro, and two Amulets (The Eye of Agamotto) with an open and closed eye. 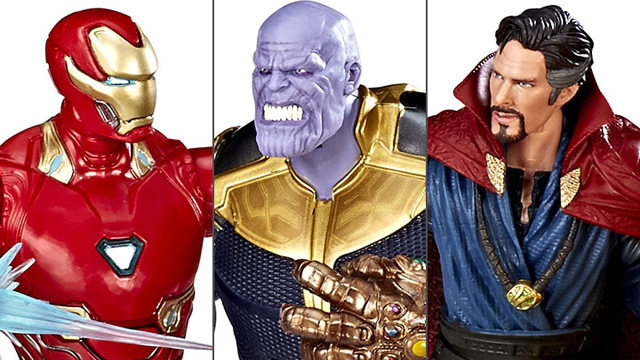 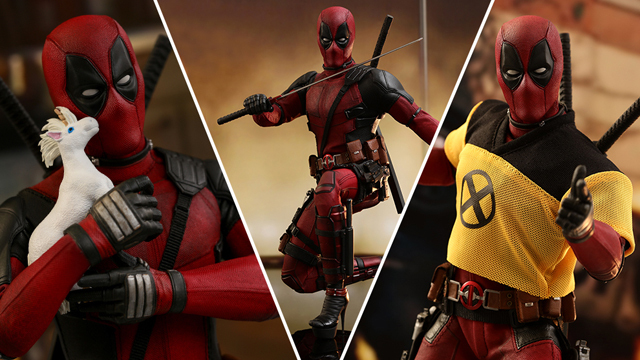 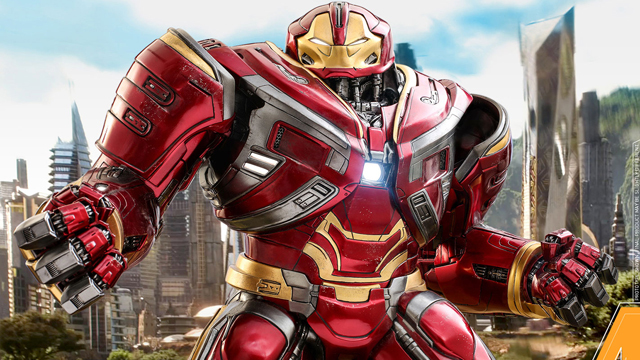 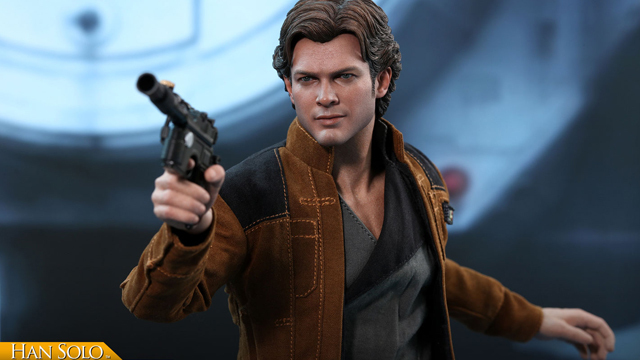 Click here for a closer look at all of the figure’s accessories and complete costume details. 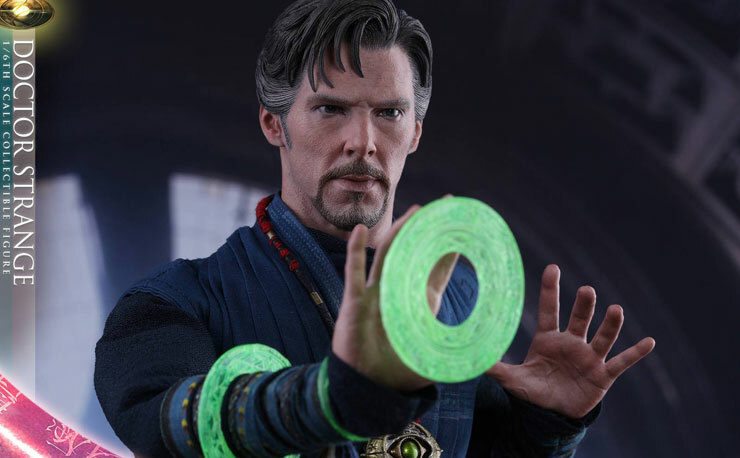 The Doctor Strange Sixth Scale Figure by Hot Toys is available to pre-order at Sideshow.com with a ship date set for July 2017 – September 2017. 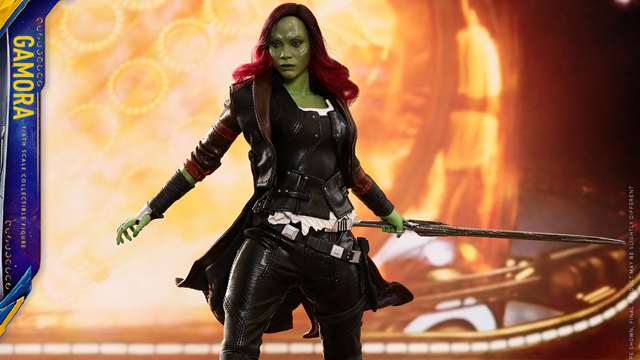 Check out the updated images with green mandalas below. 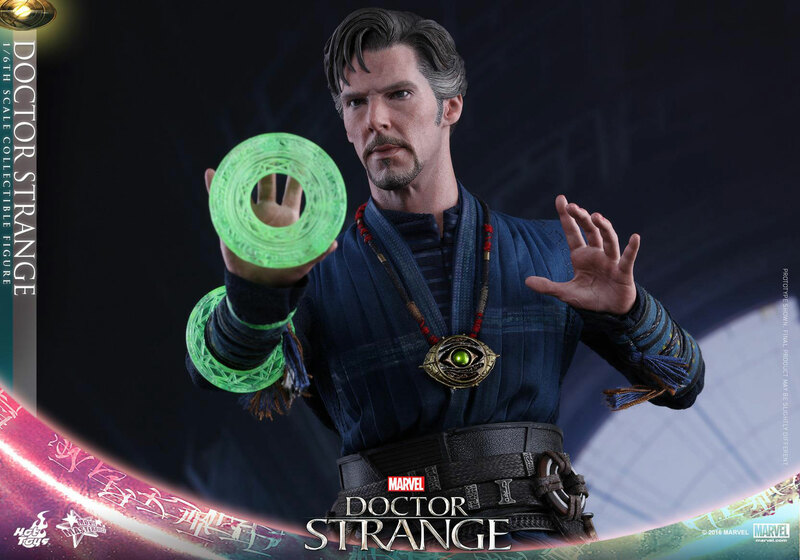 Click here to buy the Hot Toys Doctor Strange Movie Sixth Scale Figure.